In my opinion, one of the most beautiful parts about this project is the fact the hearts overlap and create lovely shapes inside of shapes. 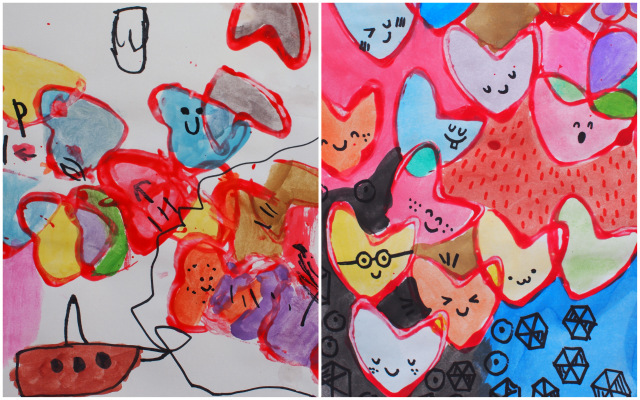 To help my preschooler create overlapping hearts, I encouraged him to make “parts of his hearts touch,” to paint “hearts touching other hearts,” so that hearts are on top of other hearts. I also encouraged him to just stamp once and not smear his toilet roll. We waited for the paint to dry overnight. Then, we grabbed our favorite (and super affordable) watercolors. To get vibrant colors, I told my son to not use too much water and swish the cakes several times- we count to 20 before painting. And then we got to work coloring all the lovely shapes that we saw in our respective pictures. I was a faster painter than him so I ended up painting the background too. Ok. So if we followed the inspirational pins, we probably should have stopped there. We had fun making two pretty pieces of artwork. my son asked if he could add more details to his drawing with Sharpie markers. (Not sure why, but he LOVES using Sharpies. I think because he considers them “Mama’s special markers.”) Our work area is always covered with a plastic tablecloth, so I brought them out and let him at it… while I doodled alongside of him. And this…. a bunch of crazy cute faces. Right now our works of art are hanging up above our fireplace. I kinda dig them and I’m glad we didn’t stick to the original plan. I love how he owned his work and added details. Now our pieces reflect our personality and that makes me happy. 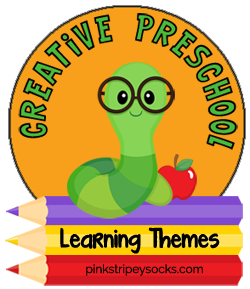 Hope you have a wonderful time finding and following creativity’s lead! And if you want other fun process art activities, check out these ideas below! Today's post is part of a collaboration between 6 awesome kid bloggers! 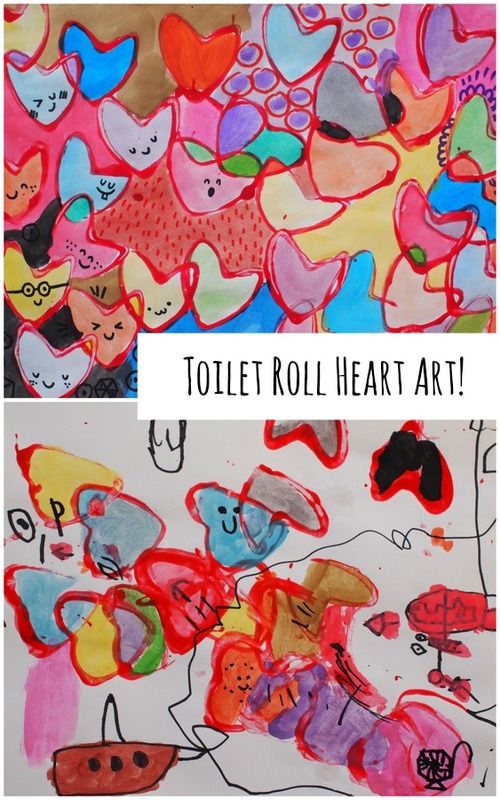 So if you're looking for more heart activities and crafts just in time for Valentine's Day, check out the links below!